On the vast North American plains once lived the prairie beaver, a land-dwelling species. It had an underground burrow which was connected to the surface by long, corkscrew tunnels. 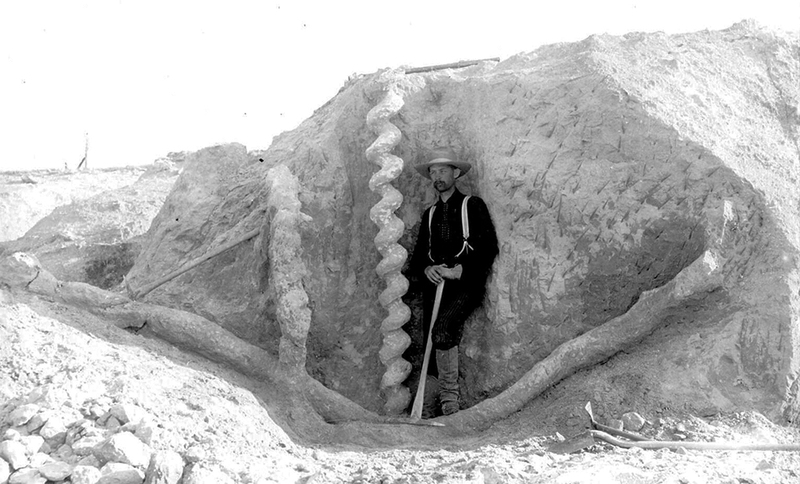 The spectacular fossils of those tunnels are called devil’s corkscrews.